Over the years I have often found that this time of the year isn't all that great for photographing birds. I think last year I drove all around mid-Wales and came home with a solitary image of a juvenile robin, something I could have captured in my garden. 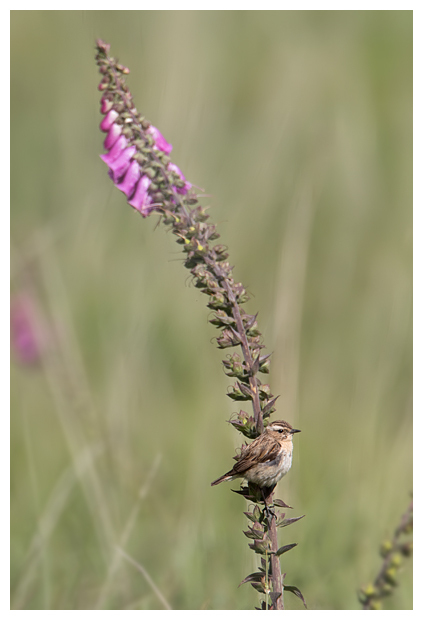 Add to this, the temperature and heat haze, and unless the bird is close, the shots can be a little soft. 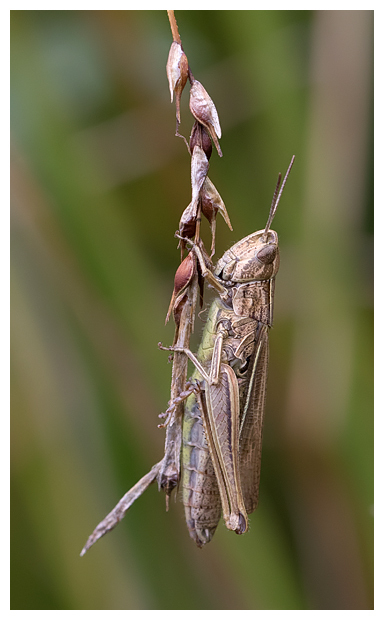 Hence, I usually dig out my macro lens, and go in search of something much smaller, and closer. 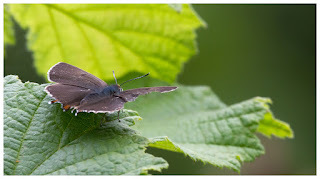 A friend who is very interested in butterflies mentioned he'd been to a place called Grafton Wood, which is one of Worcestershire Wildlife Trust's sites, in search of purple hairstreaks. He'd seen them before, but said it was a good spot for them. 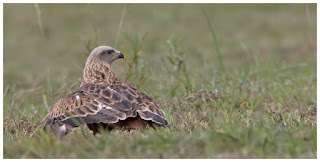 As I researched where the reserve was located, I realised I had been exploring the surrounding area the day before! And had found a spotted flycatcher as I looked. But that was about the only thing I'd seen, so I set off in search of these purple hairstreaks. 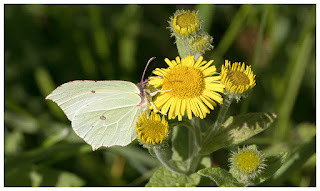 As usual, I was so keen on getting to the site, I forgot to do any research on the butterflies themselves, and even managed to miss the information on the boards at the reserve entrance. 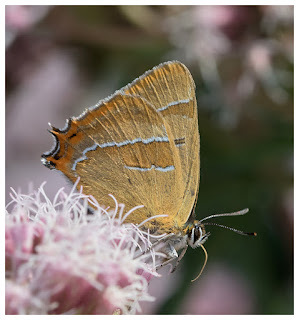 I had however, spoken to a couple of knowledgeable people who had advised I look at pink coloured flowers, as the hairstreaks had been feeding on them. The pink flowers turned out to be called hemp-agrimony (which is what I had been told but the name failed to register each time) and there was a large bush at the top of the path leading up into the woods. And on it, were many small butterflies, most of which I had seen before. But one was a bit different, and by deduction based on my woeful lack of knowledge, I hoped it might be a purple hairstreak. Didn't look very purple though, but I could get close, and grabbed a few shots before it flew off, when a large hornet thundered around the flowers. I was just looking at the back of my camera, when I was joined by three men who had been exploring the woods in search of butterflies. 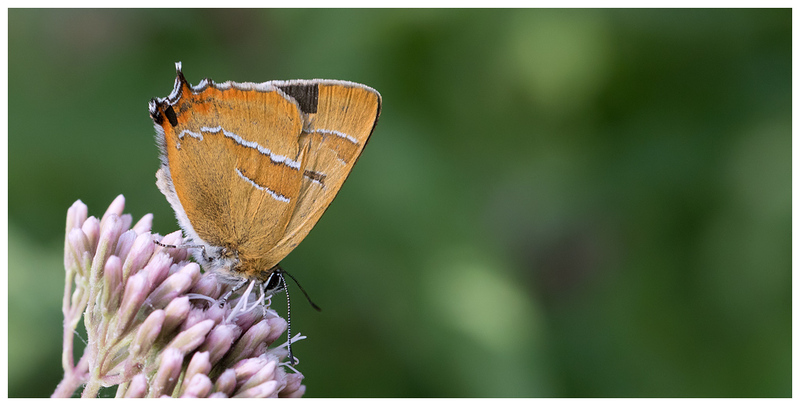 I asked them if they wouldn't mind ID-ing what I'd photographed and I was excitedly told it was actually a brown hairstreak. They also told me that to see the purple variety, I should walk only a few dozen yards along the path, and turn off to the left, to check out more clumps of the hemp-agrimony where they'd just seen some. Excellent, and off I went, leaving them to scan the area for the brown I'd just seen. The path was exactly where they'd said, and was a hive of insect activity. I scanned each clump of flowers, but couldn't see any more of the hairstreaks, so continued my stroll through the reserve. And what a fabulous place it is, especially on such a hot afternoon. Insects everywhere, from bees, wasps, flies, hornets and beetles, to butterflies, moths and some rather large crickets. And the scent of the flowers was gorgeous too. Not knowing where I was going, nor having any sort of plan, I just mooched around, and found an area which was a mass of colour, and seemed to be attracting all manner of butterflies. Brimstones were fluttering all around, so I chased them, eventually catching one as it landed on a yellow flower. In the bright sunshine, it was a job to keep a lid on the exposure though, so took a shot, checked and then adjusted to get better ones. 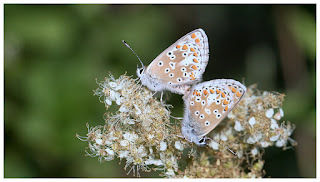 There were also commas, small coppers, gatekeepers, meadow browns, silver-washed fritillaries, common blues and a few brown argus butterflies, all in this one area. But getting shots wasn't that easy, as with all the warmth from the sun, they were full of energy and off like a shot, if you failed to approach very stealthily. 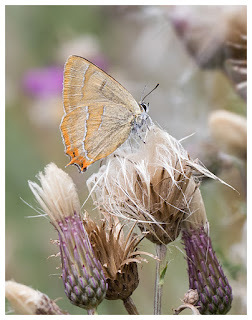 But I was after hairstreaks, so I retraced my steps back to the area I'd been before, and this time was in for a treat. 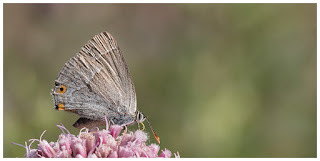 On one of the flower heads was a small butterfly, similar to the one I'd seen before but more of a pale colour, grey even, though when it caught the sunlight, it shimmered with an almost metallic appearance. A purple hairstreak, my first. And right in front of me too. Now here's the funny part. 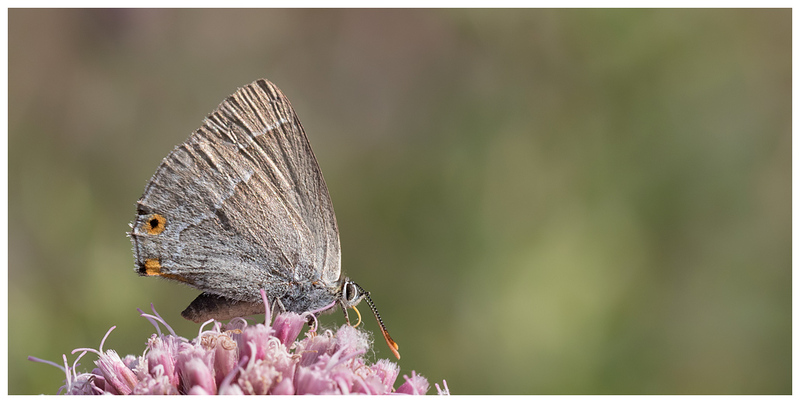 I was under the impression that the purple ones were the ones to get, and that the browns were more common, and tried to get shots of the purple ones when brown hairstreaks were closer! Thankfully I applied one of the best rules in wildlife photography, which is take advantage of what's in front of you, rather than chase after something else. And only later that evening when airing the shots on social media, did I realise that the browns were actually the most sought after! Fortunately I'd bagged a lot of shots of them and it was these that attracted the attention of my old friend Steve Seal, who really wanted some images himself of a brown hairstreak. Cue a meeting on Saturday morning, and we (with his partner Tracey and their dog, Jess) were scouring the woods again for hairstreaks. Problem was this time it had rained heavily the day before, and the air-temperature was about 8 degrees down on when I'd been there before. 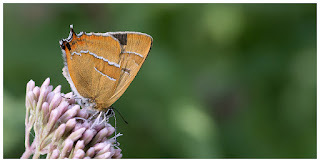 Persistence is the key, and eventually Steve spotted a brown hairstreak on a leaf beside the main path, and he got the shots he was after. 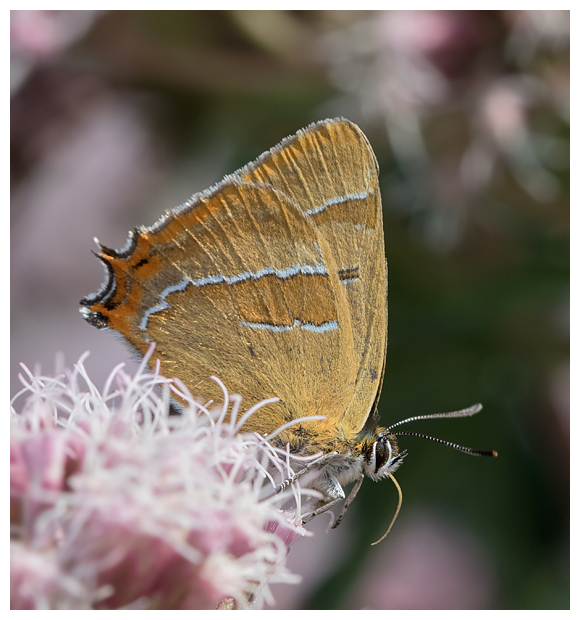 While they returned to their car for lunch and a drink for the dog, I headed off to find the ponds; an area supposedly good for the hairstreaks. Like the rest of the wood that day, it proved fruitless on that score, but there were good numbers of dragonflies buzzing around. And they seemed to be doing circuits of the area, which prompted me to change out the 100mm macro lens, for my 100-400mm. Using the most accurate centre point focus spot, I then set about trying to focus on the dragonflies as they hunted over the water. Not easy. But fun... Mostly, by the time I'd got the focus to almost lock on, the dragonfly would move elsewhere, or the focus would pick up part of the backdrop instead. 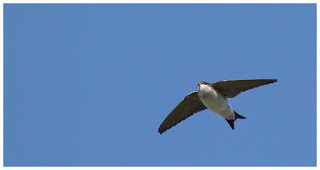 But I don't give up that easily, and as with photographing fast movers like swallows and hobbies, I started to get my eye in. Success, and with the rapid shot-firing of the 7D Mk2, I could get bursts each time. 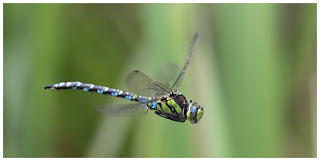 This gave a greater chance of getting the dragonfly in focus, or at least the right part of it. After gettings shots of the southern hawker, I moved on to the much smaller common darters, and amazingly picked off some shots of these too. That was pretty much it for that day, though we found time after for a pint and catch up chat. And, with fair weather on the Sunday, I returned for yet another go at these butterflies. It was again warmer, but the flowers were being patrolled by more hornets, and I watched one catch a gatekeeper, and whisk it off to a nearby tree. 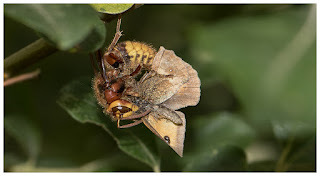 Here, whilst hanging from a branch, the hornet tucked into the poor butterfly. No wonder the butterflies were flighty when trying to photograph them, with these threats around! Having checked all the usual spots, I found out from another visitor that he'd seen a brown hairstreak up by the ponds, and despite hearing from a friend who'd just come back from there that nothing was there, I continued for a look. 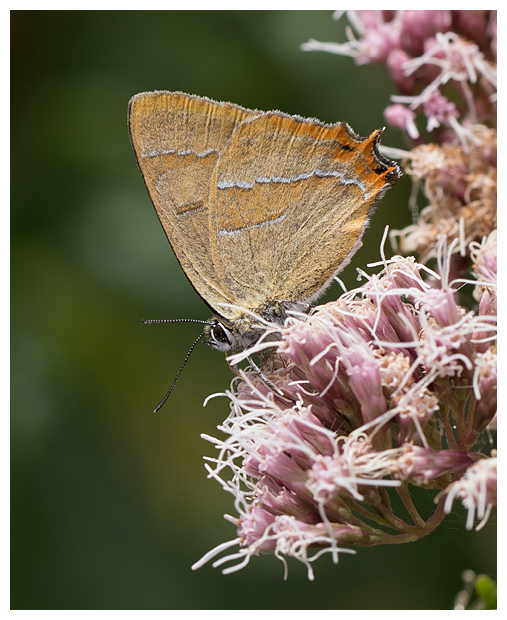 Beside the newer of the two ponds is a large bush of the hemp-agrimony and within moments of me getting there, a brown hairstreak (a male) arrived and settled on the flower. I duely attracted the attentions of anyone that passed by so they could also see this fine specimen, and I have to say, it was lovely to see the excitement and thrill several people expressed upon seeing this species for the first time. 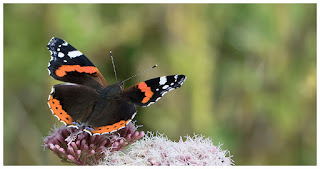 I'm really glad I visited the reserve, am chuffed to bits with the photographs I have captured, and also to have learned quite a bit about these butterflies from some of the enthusiasts I've chatted to along the way. While Shetland offers opportunities to photograph wildlife rarely seen elsewhere in the UK, it's not a place to head to if you love raptors, which of course I do. Back home, after sorting through the thousands of images from that trip, I was keen not to miss out on anything that might turn up. Cue a red-footed falcon, which was spotted near an old colliery in Staffordshire. 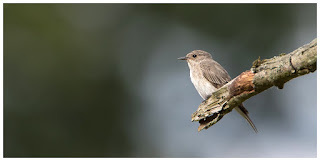 The first day it was reported, I had decided to visit the long-staying melodious warbler near Marsh Lane, which had also decided to depart the night before I got there. 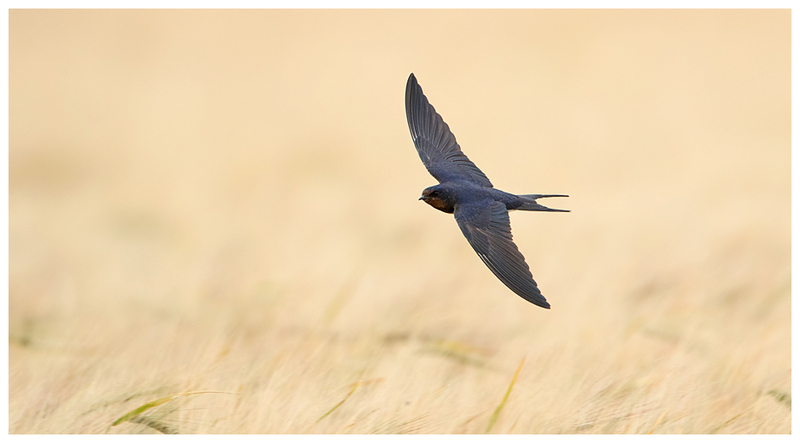 After all the comments about it being one for constantly singing, the absence of anything other than linnets singing, was a bit of a clue, so I ended up photographing the numerous swallows skimming the crop fields for flying insects. Challenging with a tripod-mounted lens. 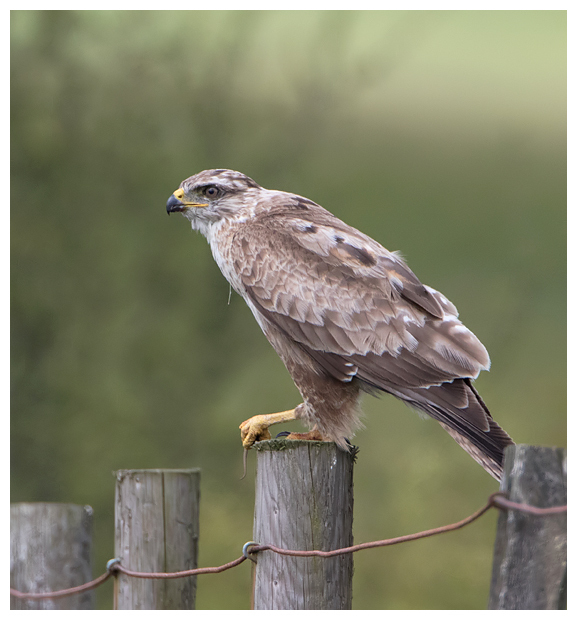 I waited for confirmation via news on Twitter that the falcon was still around, and drove up the M6 to find initially the pin on the Bird Guides app was nowhere near the bird. Thankfully the postcode mentioned was bang on, and the crowds reassured me that I was at the right spot. 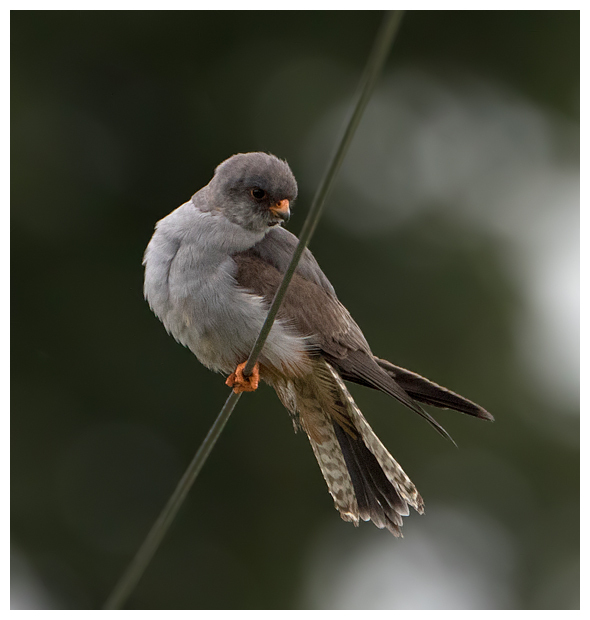 Sat on a concrete post by some sort of outbuilding in a horses' paddock, was the red-footed falcon. A new one for me (in the UK). 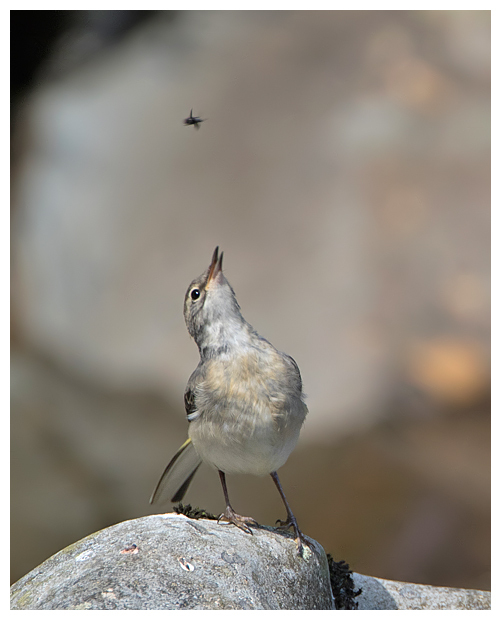 I'd say tick, but I've had to deal with them in Uist, and I'd rather avoid such things, even verbally. The light wasn't great but at least the falcon was active, and flew between a variety of perching posts, as well as swooping down on to anything moving in the grass below. Occasionally it would leave the area and vanish into the nature reserve behind us all, and despite looking none of us would find it, only to hear that it had returned to the paddock again shortly after. 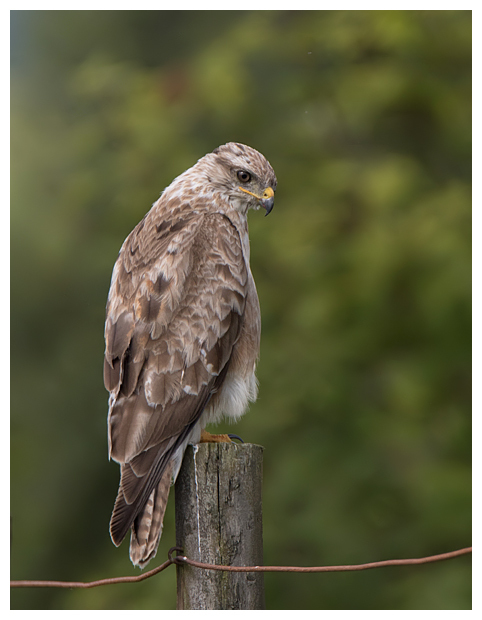 It also gave me a good chance to catch up with friends who had also turned up to see the falcon, and it wasn't long before the usual amusing banter started, keeping us all giggling while the falcon was off on one of its absent spells. And we'd all fall silent again on its return, taking shots aplenty of this lovely rarity. When Dave (Hutton) who had been to see the melodious warbler over twenty times, also failed to find it, I knew it had gone, so turned my attentions elsewhere. 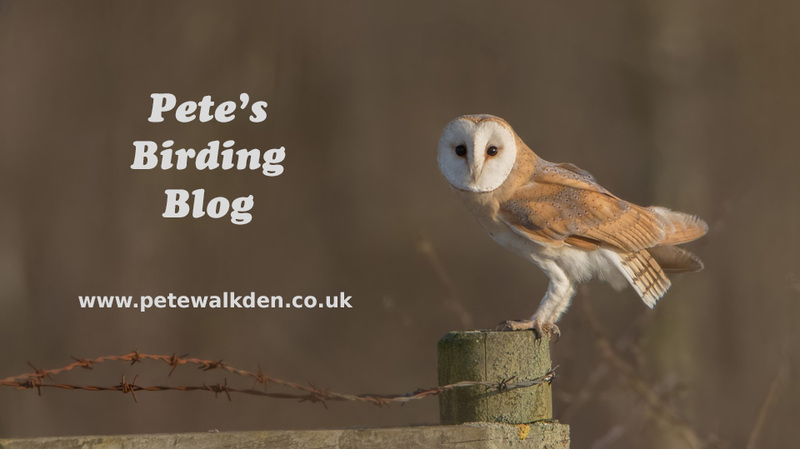 Initially I took leisurely drives down to the Cotswolds, which had been the destination to head to earlier in the year with the short-eared owls, but was now a lot busier with tourists, and the wildlife much harder to find. The fields where hares had been scampering across in February, were now waist-high with crops or wild flowers, so almost impossible to see anything in, though one roe deer decided to take a look around, lifting his head above the crops before slowly, almost comically dropping back down and out of sight. There were hares around, though none close. 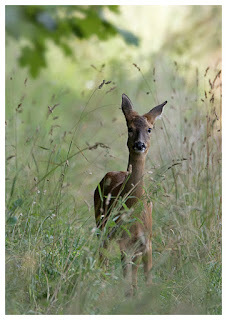 I did see more deer though, with a pair of roe deer fawns enjoying what the meadow had to offer their taste buds. And on another trip, yet another roe deer watching me from an overgrown track. Also watching me, from a couple of feet away was a stoat, but was gone the moment I turned my head to look at it. Too close for a photo with the gear I had out of the bag though. Something now often seen over the hills of the Cotswolds are red kites, and while they can be a bit hit and miss in that area, I chose to head to an area where they are plentiful, to maximise my chances of a shot. The Chilterns. 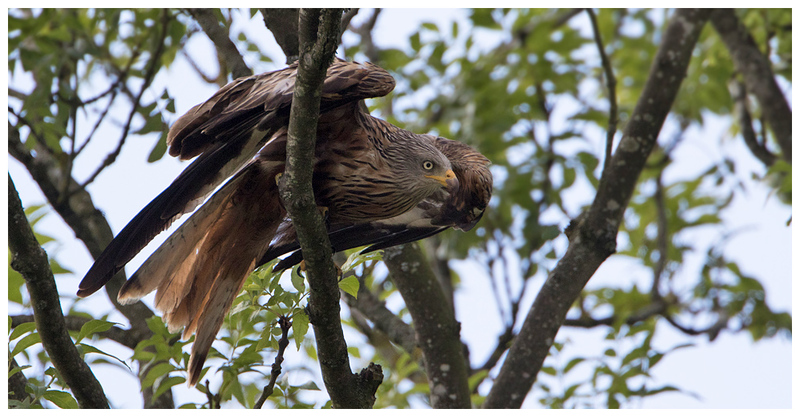 Didn't take long to see them, but I was hoping to get some shots of them perched up for a change. Taking as many narrow winding country lanes as I could find, I eventually arrived at a common, being mowed by several tractors and, following behind were maybe twenty or so red kites. Mostly, as they do at Gigrin, they were swooping down at speed, and snatching anything left behind the mowers from the ground, before devouring it on the wing. But occasionally, one would land to eat, and that was what I hoped to see. Eventually one did just that, and not far from where I was watching. It seemed to have spotted something larger than the usual grubs, and initially seemed to mantle it after landing. 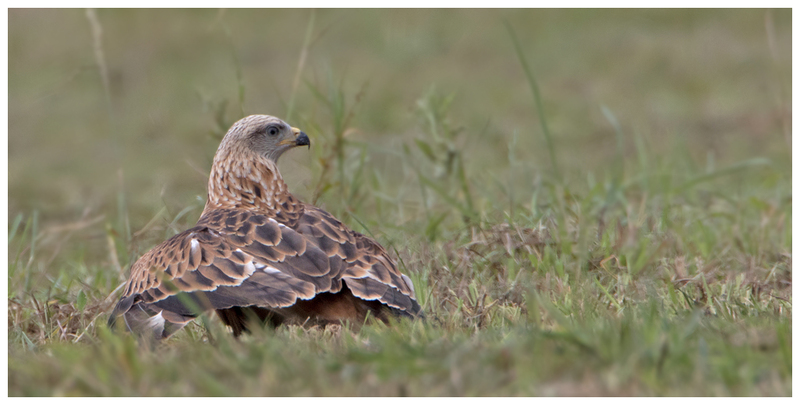 Whatever it was, didn't last long and with a flick of its neck, the kite wolfed it down. However, instead of flying off, this one decided to take a stroll, perhaps enjoying the scent of the freshly mown grass? This of course was fantastic for me to watch, and I grabbed a few shots as it moved around at ground level. 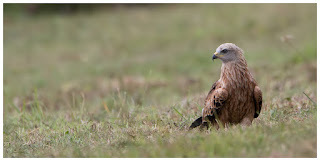 After the kites dispersed, I continued my tour and struck gold or should I say red, when I noticed a kite sat on a telegraph pole in a small hamlet. 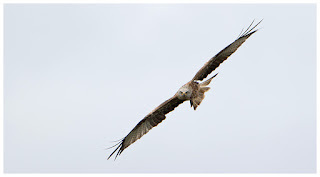 I was able to park up and without spooking the kite, get some very close shots. 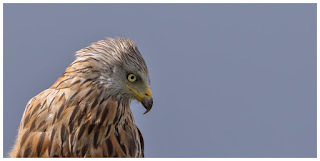 I have to admit to being somewhat envious of the residents, to be able to look out of a window and see one of these majestic raptors sat at eye-level nearby. 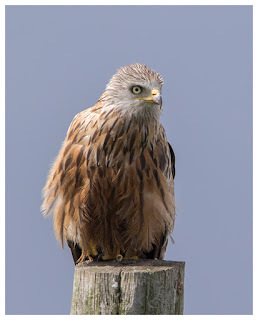 Certainly beats the wood pigeons that occupy most of the perches around my road. Then, just as I was following signs back to the M40, I saw another land up in a tree, and it didn't immediately fly off when I opened the car door to take the shot. 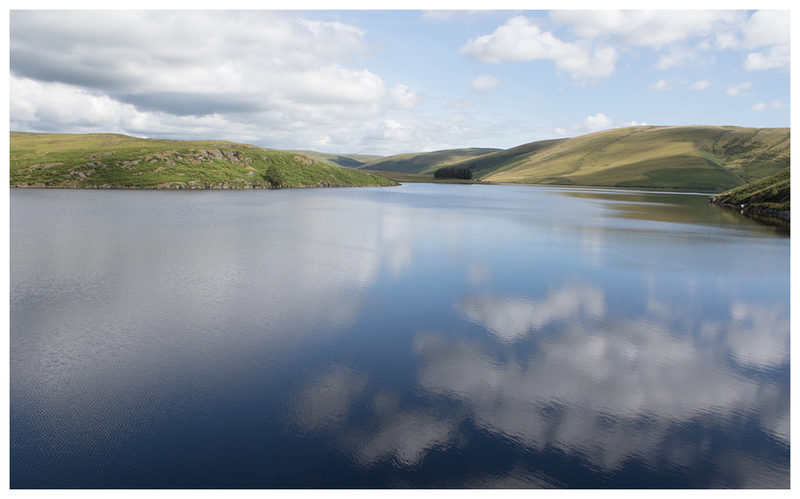 Keeping the red kite theme going, my next excursion was to the Elan Valley, though I didn't plan to take in the spectacle that is Gigrin Farm. 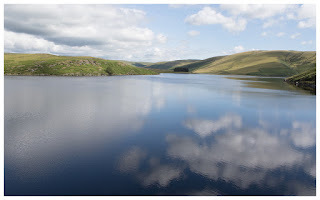 No, I was more interested in tootling around the lakes and cascading streams, to see what I could find. First to grab my attention were some barn swallows. They had perched up on a fence beside the road, and unlike the redstarts and whinchats that had zipped away as I rolled up, these sat still. Perhaps enjoying some warmer sunshine after the unusually cold spell of weather lately. 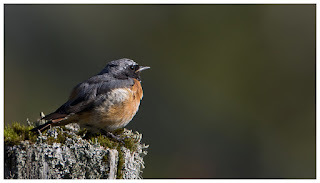 Rounding a corner, a flicker of red caught my eye and I spotted a male redstart sat on a post. The light wasn't brilliant, slightly harsh, but he didn't fly away. On the same corner, were masses of house martins and were too tempting, with the glorious blue skies behind, not to linger for. Too fast for the big lens, it was out with the 100-400mm and even then it was a challenge to get them. Another lens change was required shortly after, to take in the fabulous views across the lake, with the calm conditions, the water turned into a mirror. Seeing yet another flash of a red tail near the road, prompted me to park yet again, and I was just about to get out to creep up on the juvenile redstart hopping along the roadside posts, when a much larger character swooped in. 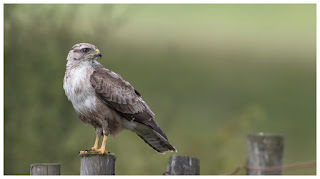 A common buzzard, and it landed only a few dozen yards from me across the road. It didn't seem to be in any hurry to leave. Better still, for once, no cars seemed to be around, so it wasn't scared off. 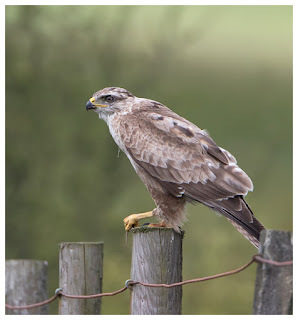 It was however, very interested in something moving below the fence, out of sight of the road. Suddenly it dropped down from the post, and seconds later returned, albeit slightly further away, with something held firmly in one talon. 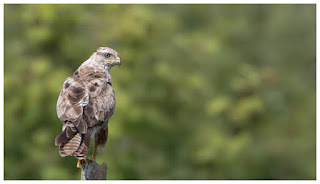 A lizard, and unfortunately for it, the buzzard proceeded to take ahold of it by the head. Had it been the other end, I'm sure the lizard might have shed its tail to escape. But not this time, and after a few wriggly seconds, the lizard had been devoured. And moments later, a car approached and the buzzard departed. I spent the remainder of the day exploring, but the area was now awash with sightseers and the wildlife all but departed. 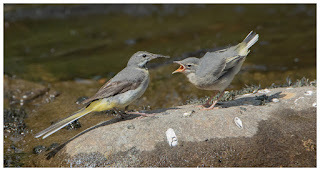 Walking down to one of the streams, I hoped to maybe see a dipper, but in fact found a family of grey wagtails, the fledglings dotted around on the rocks. The parents were busily fluttering up and down the water, grabbing insects, and then delivering them to the demanding youngsters. Fun to watch but less so with all the biting insects nearby, and after grabbing some shots of the feeding process, I fleed to the safety of my car. Back out on the road again, I eventually caught up with a whinchat, but it wasn't close and soon flew off when a noisy Harley Davidson thundered by.